Fredrick Amonor Skalla has taken over the discussion on all social media handles this morning for stupidly mishandling an unarmed woman who went to the Midlands savings and loans bank to take her money. Many have questioned the sanity of the young police office for the sort of beating he gave the woman. The president yesterday after the video was very shocked and could not fathom why a peace officer would do that to a helpless. 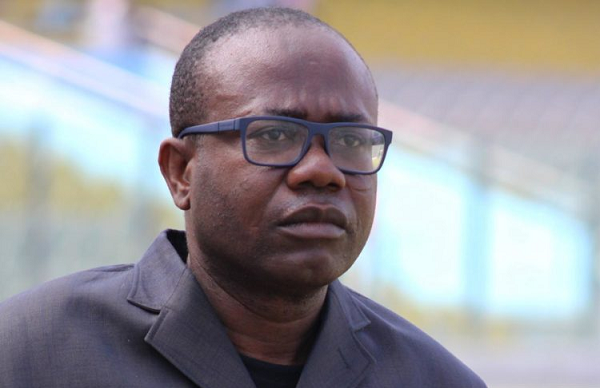 Also, a close friend and associate of president Akuffo-Addo, Mr. Kwesi Nyantakyi, who is the former president of the Ghana football association has also had something to say on the matter. I just can’t understand why the police officer will do that. I have done great wrongs than this one. Didn’t he watch the Anas exposé? O am sure he saw the things I said and did, why didn’t he come and beat me instead. I will personally sue him my self. I will consult my friends Kojo Yankah and Eddie Doku to bring the monies they got from Anas to help. We will get justice for this poor lady. He concluding by warning Anas to stay away from this one. If he however tries to come any close, he will let Rev. Owusu Bempah release the exposé he has on him.